Repaying loans on time is essential toward striking the right balance in life. Clearing general debts such as credit card loans and other personal loans will help you focus on clearing the bigger debts such as housing loans or education loans. Repaying loans on time is essential toward striking the right balance in life. Clearing general debts such as credit card loans and other personal loans will help you focus on clearing the bigger debts such as housing loans or education loans. Proper fiscal discipline is essential toward achieving a debt-free life in the long run. Prepare a list of your income sources, for example, salary, interest from FDs and other investments. Analyze your spending habits; jot down your monthly expenses so that you can identify what’s necessary in a given month. After jotting down your monthly expenditure and income sources, the next essential step would be to prepare a meticulous budget and follow it strictly. If you spend beyond your means, then it is no rocket science to understand that you will have lesser money in hand to clear your debt/monthly installments. So, cut your expenses as much as you can and avoid borrowing for repaying debt, i.e., don’t land yourself into a debt trap. Make all the needful adjustments to your budget and keep some funds to deal with emergencies. 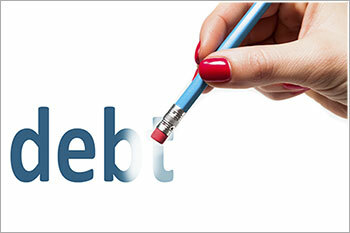 Identify debts that you can clear in the immediate future. Obviously, there will be housing loans and education loans that might involve longer payback periods, but at least clearing some smaller loans and avoiding unnecessary spending will hold you in good stead. Avoid over-spending, as it is an ideal recipe for disaster. Explore other income sources, such as part-time jobs and freelancing, to increase your income. Use your money judiciously and clear your debt through your existing income; try not to dip into your savings as far as possible.